Let’s Move the Dial. For Real. Let’s get this on the table. And then clear the table. We (that includes you) are all tired of the dial not moving on community, social, and environmental challenges. At times it feels like we’re going backwards not forwards. Rant over. Here are a few examples of people and the organizations they power, who are experimenting with social enterprise and social enterprise development to move the collective dial. 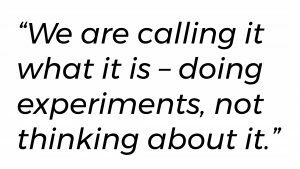 We are calling it what it is – doing experiments, not thinking about it. It’s taking small risks on things that MIGHT work. The outcomes aren’t perfect, but it’s a start. It takes an appetite for change, some comfort for risk, and a person (or people) to try these experiments. City of Kamloops (Natalie, Jen, and Team) – The pace of government is sometimes similar to that of a slow moving glacier. The appetite for risk similar to nil. The expectations of solving our community challenges is sky high. Jen and Natalie, with support from many others, have shifted part of the City of Kamloops grant budget to support training and mentorship for social entrepreneurs. The aim is to support improved sustainability for community organizations while also enabling them to implement long term solutions to community challenges. It’s not new money, it’s money spent differently. But the experiments they support might move the dial. It takes a community of doers. The Big Edition (Glenn and Team) – This new project is a street newspaper that is being developed and will be sold by members of the Lived Experience Committee – individuals who have experienced, or may be experiencing, homelessness. Vendors from the committee will purchase the publication for resale and then keep the proceeds they collect. It’s a model that’s working in about 100 cities worldwide but hasn’t been done yet in Kamloops. Purppl will help to power their launch. It may result in pride, experience, purpose, voice, empowerment, and a revenue model. It takes a community of doers. United Way (Helen, Reanne and Team) – Arguably, traditional funders. What’s unarguable is their commitment to supporting many valuable and critical social initiatives in communities. Here in the Okanagan, United Way is teaming up with Interior Savings to learn from the City of Kamloops and trying a small experiment of their own. Many of the community organizations they work with struggle with the reality of financial sustainability. United Way and Interior Savings will launch a program at the end of May which will support training and mentorship to help community organizations learn to add social enterprise revenue streams to their models. The hope? Training, increased capacity, improved sustainability, and enhanced social enterprise revenue that can support long term solutions to community, social, and environmental challenges. And, they are encouraging other like-minded funders to join them, pool funds, collaborate, learn, and maximize the impact. It takes a community of doers. Brain Trust (Mona and Team) – Mona is an entrepreneur turned executive director turned social entrepreneur. She’s received a quick education in brain injury and non-profits. With the support of her team of medical professionals and supportive stakeholders they are testing a concussion recovery model for youth. The recovery protocol is globally accepted, the experiment is on the business model and delivery model. Brain Trust deserves recognition for using a lean startup approach to initiating customer discovery to understand the needs of patients, then moving to a testing phase, before launching a minimum viable product. Purppl helped to power this process. Brain Trust’s model fills a critical gap in the medical system as well as Brain Trust’s own service delivery model. It takes a community of doers. 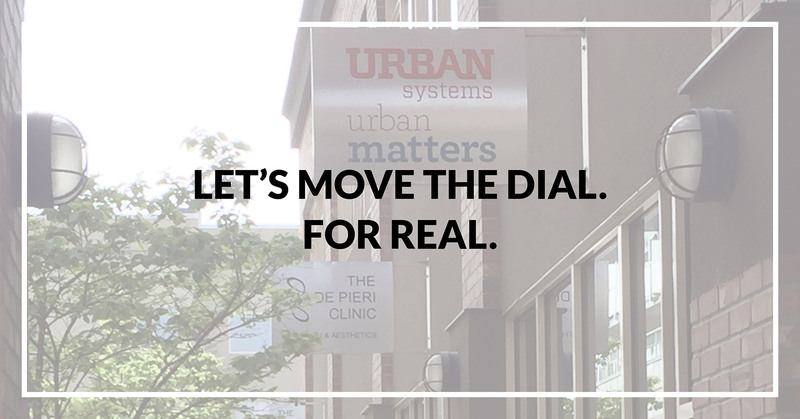 Urban Matters and Urban Systems (Ken and Team) – Urban Matters and Urban Systems, sister companies, are quietly implementing solutions to tough community challenges. Urban has redeveloped affordable housing, incubated a car sharing Co-op, facilitated multi-stakeholder working groups to build responses to the opioid crisis, and enabled a social entrepreneur to scale accessibility audit, design, and training services. They also incubated Purppl and continue to help us scale. This just scratches the surface. Urban takes a deliberate approach to applying and implementing social innovation, a task most companies only talk about. It takes a community of doers. Healthy Essentials Clinic (Christina and Team) – 50% of Canadians will deal with a mental health problem or illness by the time they turn 40. This is one of those problems that feels like it’s moving backwards not forwards. 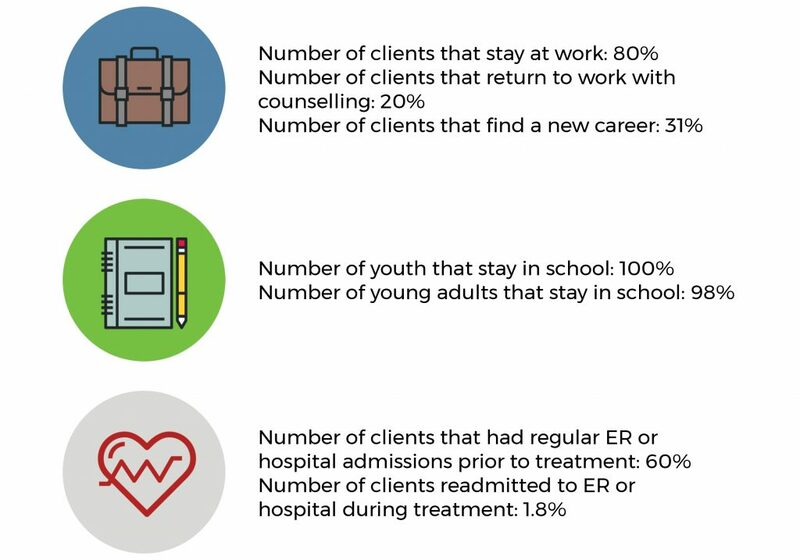 Christina, a Counsellor and Dietitian, has implemented a family centred care model with a nearly 100% return to work and return to school rate with her clients and an almost 100% reduction in hospital visits in 2017; this is unheard of in the medical community. This multi-disciplinary approach brings in multiple practitioners to support recovery of the client and their family; it’s being recommended by health authorities. Purppl helps to build the underlying business model. 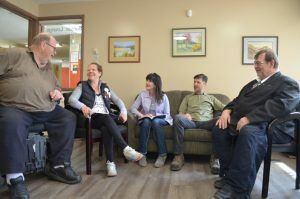 She’s expanding her clinic in Lake Country to bring diverse practitioners under one roof and vastly increase the number of people who can benefit from the program. It takes a community of doers. This is a small list of people who are experimenting, testing, failing, improving – and most importantly doing. There are many others locally and globally. The dial is moving. For real.